One more poriyal – dry vegetable curry – with very little oil and very easy to prepare too. 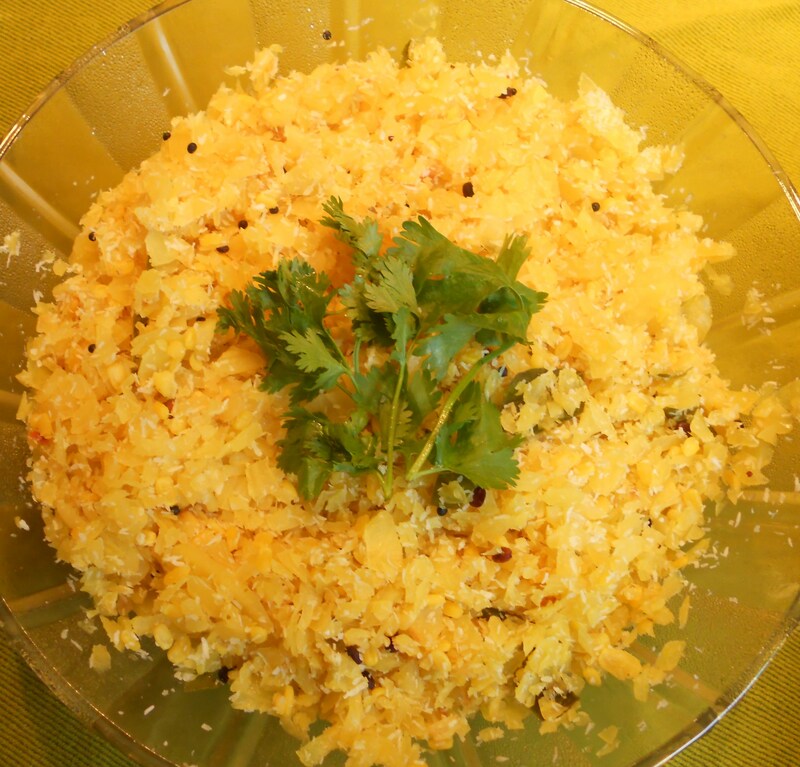 Cabbage poriyal can be made just with cabbage alone or sometimes mixed with carrots. This is plain cabbage poriyal. Sprinkle just enough water – if there is too much water – cabbage might lose its colour or become soggy. When cabbage is cooked with closed lid, it might leave out some water. Most of the times, this water is enough to cook cabbage. If one finds water is insufficient, and as such there is very little oil, sprinkle water. Otherwise, cabbage might get burnt in the base of the pan.